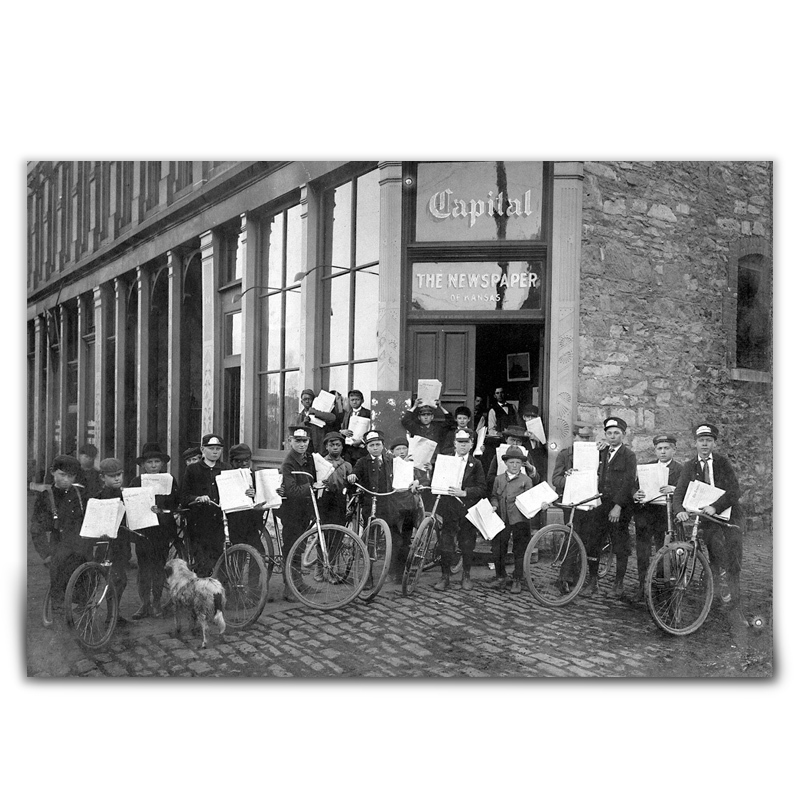 The Topeka Daily Capital delivery boys pose with their bicycles and in front of the newspaper's office in downtown Topeka, Kansas, in 1900. At one time newspapers relied on the youngsters to make their daily newspaper deliveries. From the collections of the Kansas Historical Society, the print was produced for the Kansas Historical Foundation.